The impact of Alzheimer’s on his family led CBS Sacramento’s Tony Lopez to get involved in the Walk to End Alzheimer’s. Besides Walk to End Alzheimer’s participants, hundreds of others come out on Walk day to make the event successful. One of those individuals is a familiar face to many in the Sacramento region. 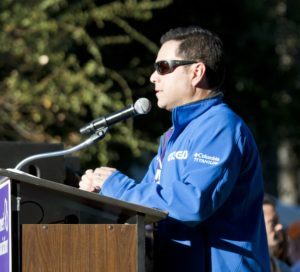 Tony Lopez, CBS Sacramento Anchor/Reporter, has been an emcee at the Sacramento Walk for the past three years. Anchoring five CBS 13 newscasts every weekday (4, 5, 6, 10 and 11 pm) keeps Tony very busy. Luckily, Tony is usually off on weekends. He will be returning to his Walk emcee role this year on September 29. Tony doesn’t emcee the Walk just because his employer values giving back to the community. 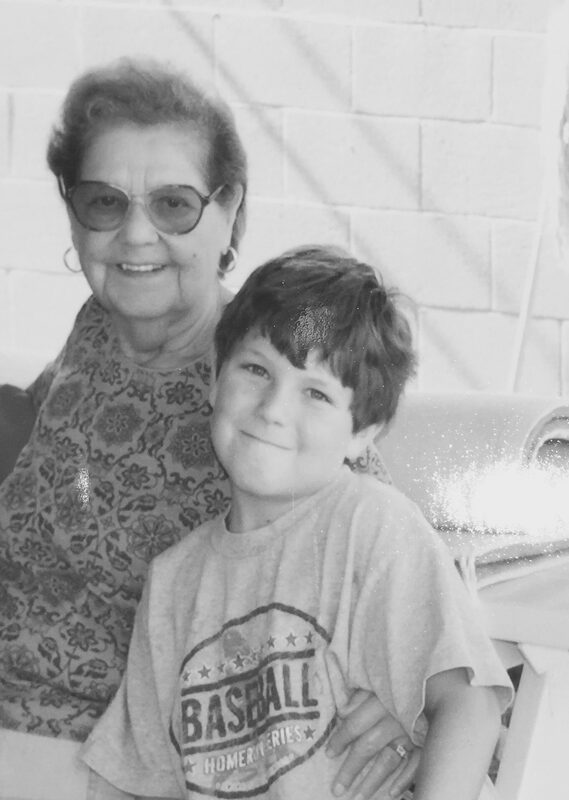 Like many who are involved in the Walk to End Alzheimer’s, it’s personal for Tony. Tony’s parents, Antelmo “Al” and Matilde “Tillie” Lopez raised eight children (six boys and two girls). Tillie had her hands full caring for Tony and his siblings. Over 10 years ago, several family members became concerned when Tillie kept asking the same questions over and over. On one of their visits, Tillie didn’t recognize Tony’s dog, whom she had met before. 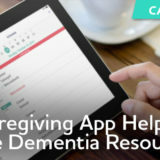 The family sought medical care and Tillie was diagnosed with Alzheimer’s disease. With support from her children, paid caregivers and hospice, Tillie is able to remain in her Southgate home. 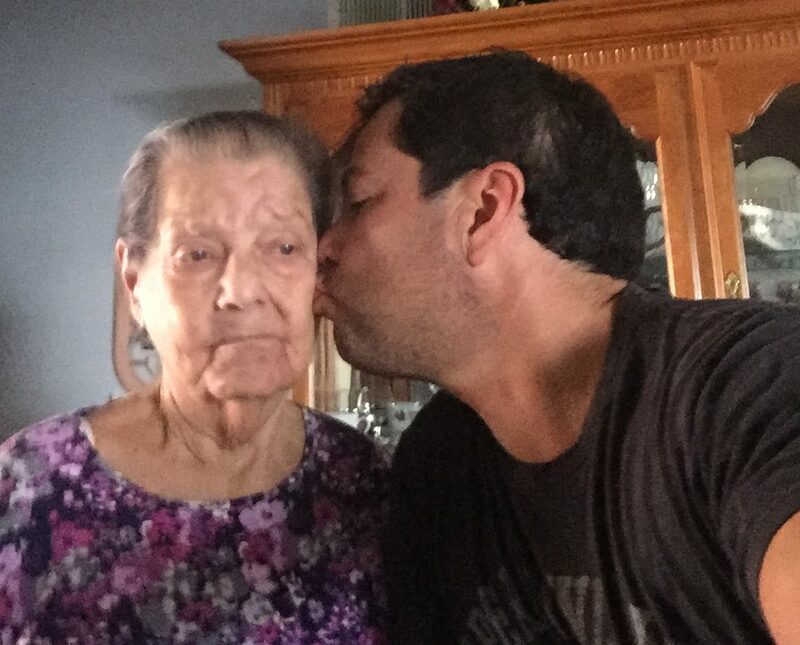 His mom’s illness has had a huge impact on Tony’s family. Tillie’s house has always been where the family gathers for holidays. Tillie’s family has pulled together to care for her. Tony acknowledged that coping with Alzheimer’s has placed a strain on some family relationships. Be with your loved one as much as possible. Ask what s/he would like to do in life right now and do it, even if s/he won’t be able to remember it later. Cherish the moments you spend with your loved one. You may learn to appreciate the smaller things in life. 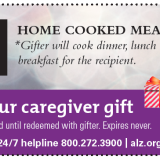 Reach out to the Alzheimer’s Association for support. While this disease can cause pain within families, the Alzheimer’s Association can help you find ways to alleviate some of the pain. Chronicle the moments on video, as much as your loved one is willing. You will appreciate being able to watch those videos in the future. Tillie had a great sense of humor, which Tony suspects came from raising eight active children. Tony says that Tillie encouraged her children to “be themselves, be kind and have a sense of humor.” Until recently, she would still laugh during their time together. Tony heads down to visit Tillie as often as he can. His mom’s hugs and her loving nature are what Tony misses most. Whenever there’s an opportunity to tell a story about Alzheimer’s that might impact someone’s life or raise awareness, Tony is ready. 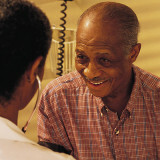 It is through his stories that he got connected with the Alzheimer’s Association. When the Alzheimer’s Association invited Tony to be one of the emcees for the Sacramento Walk, he was happy to get involved. Recognizing that not everyone comes from a large family, Tony appreciates that Walk attendees can learn about community resources and understand that they are not alone in their journey. Seeing families come together and teach young people how important it is to make an impact related to Alzheimer’s also inspires Tony. CBS Sacramento has been very supportive of Tony’s coverage of issues related to Alzheimer’s and his participation in the Walk. News stations are in the business of telling stories that impact the lives of their viewers. 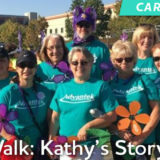 Tony hopes to see you at the Sacramento Walk to End Alzheimer’s on September 29 at Raley Field. 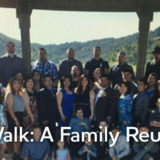 If you’re not in the Sacramento area, you can sign up for a walk near you.